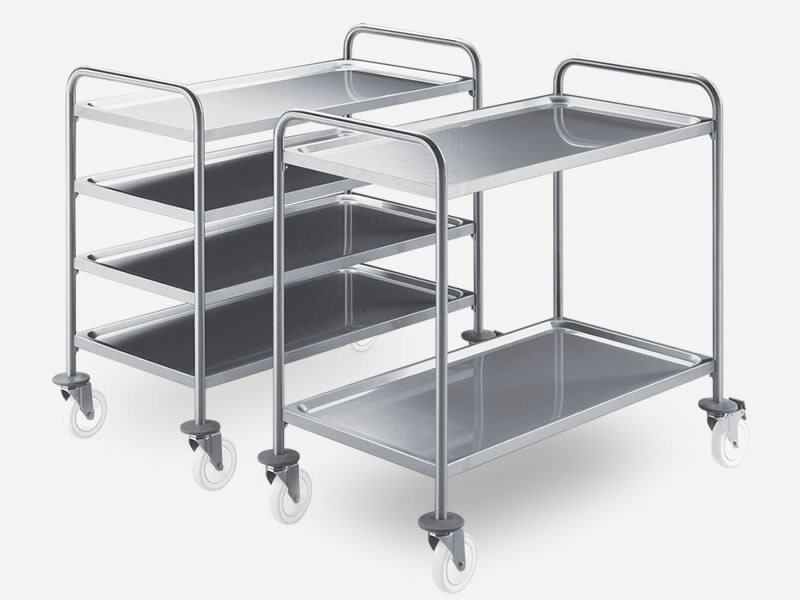 Our Serving Trolleys are made entirely from stainless steel AISI304 and are fabricated in accordance with HACCP requirements. marking swivel castors of Ø 12,5 cm (with or without brake). ​Available in different dimensions as an assembly kit or fully welded.